Traveling inspires me. Running keeps me sane. Designing helps me express myself. And I blog about all that at some point. 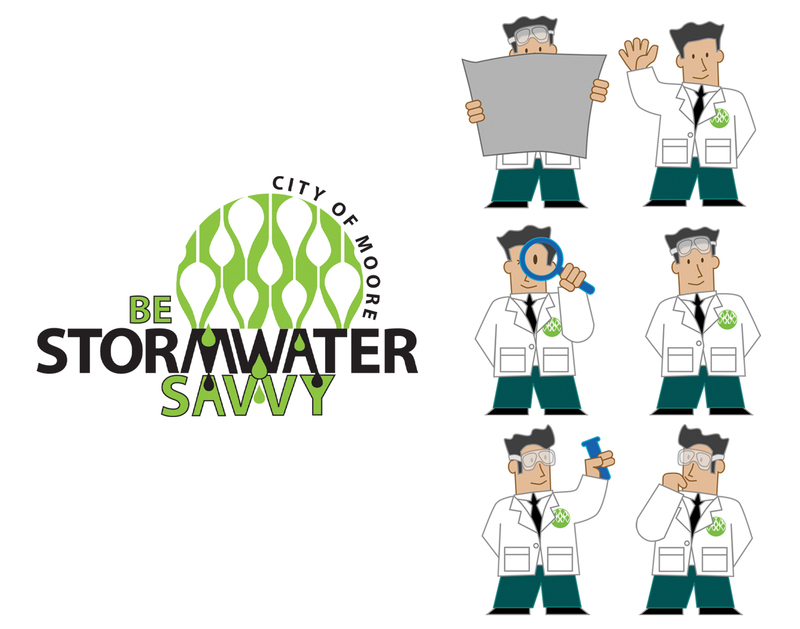 The City of Moore wanted to educate children about storm water savviness, resulting in the creation of “Dr Savvy”. Click to see another project for the City of Moore. Design of campaign logo and spokesperson Dr Savvy. 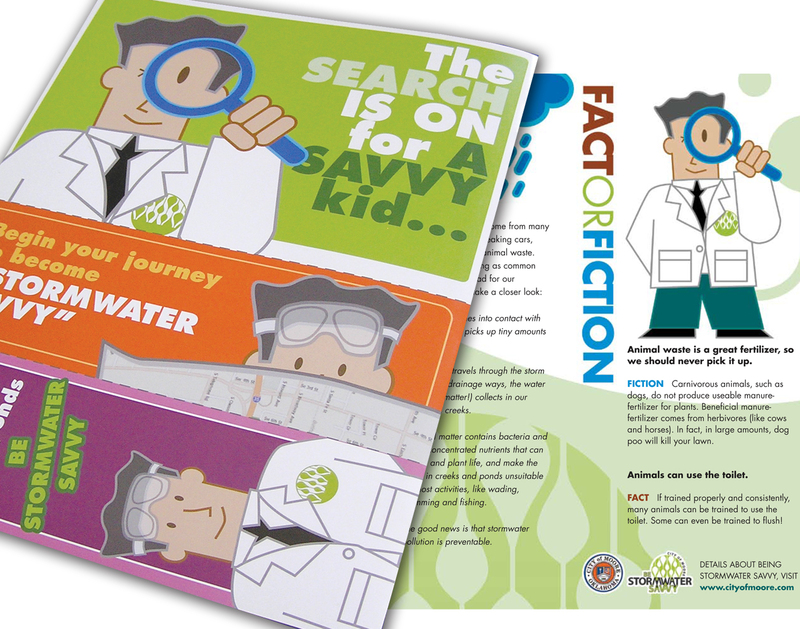 Dr Savvy appeared in various printed material (eg. children’s activity book and brochure).